We are a leading Exporter & Supplier of Injection Packers such as Steel Injection Packers, Cementitious Injection Packer, Flat Button Head Injection Packers, Aluminum Injection Packers, Plastic Injection Packers and Brass Injection Packers from India. Premium quality Aluminum Injection Packers are supplied and traded by us. These packers are made available to clients through our extensive supply network. 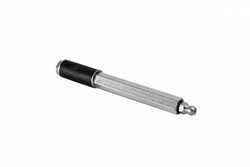 These packers are known for their sturdy and durable designs, owing to which these are highly suitable for packing aluminum injections of different shapes and sizes. These packers are highly demanded by various industries and are supplied to clients within the stipulated frame of time. We supply a vast range of Steel Injection Packers to our esteemed clients through our efficient supply network. These packers are manufactured using the best quality of raw materials and guarantee durability and sturdiness. These are supplied to clients in different sizes and dimensions. These packers are known for their sturdy designs, durability and resistance to damage. We make these available to clients within the stipulated time period after the approval of quality analysts. 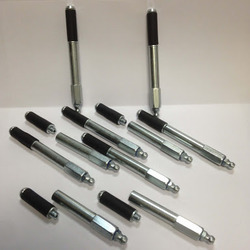 We are among the reputed traders and suppliers of premium quality Flat Button Head Injection Packers. These are manufactured using the best quality of raw materials in accordance with the industrial guidelines. These packers have a flat shaped button like head. These are used widely in various industries. These packers are made available to clients within the stipulated frame of time at affordable prices. These sturdy and durable packers are used to pack injections. Button Head Packer 5/8’’ inches. Seal Experts offers mechanical packers for repairing leaking cracks in concrete bridge walls, decks, tanks, and foundations. Using epoxy and urethane methods are offered using high pressure injection pumps or dual manual injection guns. State of the art urethane grouts and epoxies are available. We specialize in the manufacturing of materials and equipment for all kinds of basement water issues including basement leaks, concrete crack injection, foundation repairs. We hold the slogan that Today’s quality, Tomorrow’s market making us grow better and better . With years of exporting and global market experience, we do know what our customers’ requirements are . 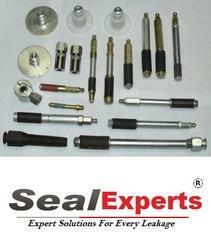 SealExperts to the success of every customer and associate. Serving primarily the surface preparation market we will supply quality Blasting and Painting Supplies and become the one of the world's leading suppliers of Abrasives, Blasting, Painting, Safety, Equipment and Supplies to the surface preparation industry. Leveraging over the skills of our qualified team of professionals, we are involved in offering standard quality range of Packer Connector. 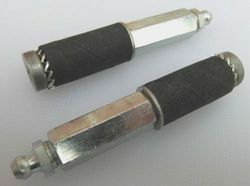 This Packer Connector is known for its rugged construction and easy installation. 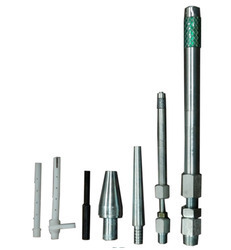 Moreover, our product range is widely used for different industrial applications. We supply a vast range of Crack Injection Packers to our esteemed clients through our efficient supply network. These packers are manufactured using the best quality of raw materials and guarantee durability and sturdiness. These are supplied to clients in different sizes and dimensions. These packers are known for their sturdy designs, durability and resistance to damage. We make these available to clients within the stipulated time period after the approval of quality analysts. Characteristics:SEALEXPERTS Injection Packer is a steel packer used for injection of special chemicals into a building or other constructions for the purpose of sealing, waterproofing, penetration, impregnation, bonding and consolidation of the structure. Packer installation: SEALEXPERTS Injection Packer is put into the borehole into the minimal depth so that the sealing rubber area of the packer is completely introduced in the borehole. 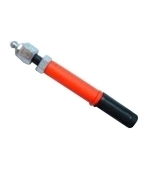 By means of a box wrench or socket wrench we tighten the rubber seal of the packer in a clockwise direction over the nut so that the packer stays firmly in the borehole during injection. Material: The metal parts are made of steel with a galvanic surface finishing according to norms DIN 71 412. The rubber seal is made of a vulcanized technical compact rubber according to norms DIN 78 078, ISO 4632/1. Stop valves are made of steel with the galvanic surface finishing according to norms DIN 71 412. Health safety: Materials used are for the given purpose non-toxic and not damaging to one’s health. With the assist of dexterous professionals' team, we are competent to present a superior series of Injection Packers used for crack injection,injection grouting,waterproofing,structural strengthening suitable for use at any stage of new construction.In addition ,products and services are available for the maintenance and repair of existing building.Injection packers can be used for both epoxy polyurethane(PU) injection grouting.Professionals develop this product in varied specifications that meet on consumers demand. Construction experts utilize the best quality material to make these products as per industry norms. Our entity is known in the market for Injection Packers. These products are developed by experts utilizing the sophisticated techniques and finest quality material, sourced from reliable sellers of industry. Our products are highly used in the market owing to their longer life. In addition, we present this product at nominal prices to our customers. We are engaged in providing a broad array of Injection Packers in usa. These products are made under the leadership of industry professionals who have prosperous industry skill and experience. These products are highly utilized in the market owing to their longer life and durability. Our products are available in varied specifications that meet on purchaser demands. Mechanical Packers are used with bothEpoxy & polyurethane Injection for waterproofing & concrete strenthing. We supply a vast range of Steel Injection Packers in doha to our esteemed clients through our efficient supply network. These packers are manufactured using the best quality of raw materials and guarantee durability and sturdiness. These are supplied to clients in different sizes and dimensions. These packers are known for their sturdy designs, durability and resistance to damage. We make these available to clients within the stipulated time period after the approval of quality analysts. International Manufacturers and Supliers for Professional EPoxy or Polyurethane Injection Packers with top Quality material used. Characteristics: Sealexperts Injection Packer is a steel packer used for injection of special chemicals into a building or other constructions for the purpose of sealing, waterproofing, penetration, impregnation, bonding and consolidation of the structure. There are two primary categories of packers available. Insertable packers (mechanical packers) and surface mounted ports. 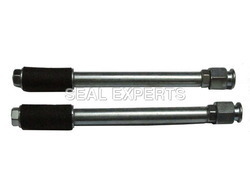 SEALEXPERTS Mechanical packers are typically used for polyurethane injection and high pressure epoxy injection. Since they are not glued to the surface, they work well in wet areas and with decayed 'problem' concrete. 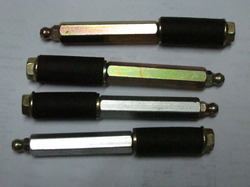 Mechanical packers come with zerk fittings and button heads (slide fittings). The zerk type is more commonly used and is less costly. It easily connects and disconnects and works nicely with medium to high injection pressures. 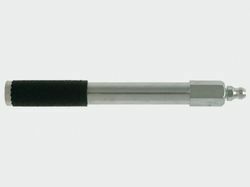 The button head type can be of advantage in high volume applications and it offers a superior connection which is helpful for single operator injection and large applications. Injection pressure is the keyword. To determine a quality packer it must withstand high injection pressures without leaking and moving out of it's drill hole. A snug fit and solid connection are mandatory. Nobody likes packers to fail at injection pressures of 1000psi and more. Now, realistically speaking even the best packer may slightly leak at the connection at extreme pressures. But there is the difference between a drip and a gush. Premium packers are made of metal and an expandable rubber sleeve to minimize concrete spalls and packer blow outs. A medium soft, 'made to stick' rubber that evenly expands diameter while compressed provides the best grip. 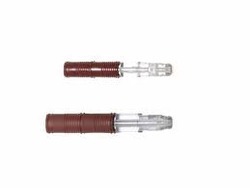 Mechanical packers made of cheap plastic and a plastic sleeve are at a disadvantage at high pressures, but may suffice at lower-high volume injections. Always keep in mind, a snug and reliable fit is essential for the safety of the technician and the key factor for successful injection work. The size of the packer selected depends on the volume to be pumped, drill depth, injection pressures to be applied as well as cosmetic and other considerations. Common diameters are 1/4inch, 6mm, 3/8 inch, 8mm, 10mm, 1/2 inch,13mm, 5/8inch, 16mm, and sometimes 3/4 inch or even larger. (In mining applications for example, packers can be several feet long and several inches thick) For concrete injection, typically the 1/2" and 5/8" packer seem to be the best compromise in strength and size and can be called a standard. 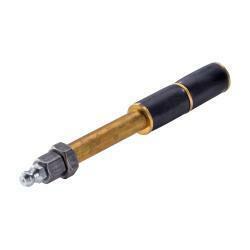 The smaller 3/8" (10mm) types have been gaining in popularity though. Long versions and extensions are also available. It is good practise to keep the drill-holes rather smaller than larger when selecting your packer size. Design considerations such as location of an anti return valve, ease of use etc. may be of concern. We generally recommend mechanical type packers for most jobs. Their design can cope with most demands found at an injection job and the 'problem rate' is very low - a packer for all conditions. 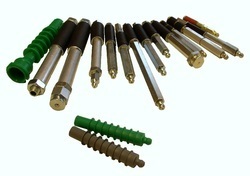 If high product flow at lower pressures is desired, the 5/8" button head packers achieve good results. 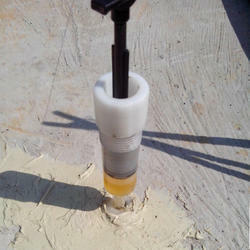 The 3/8 Hammer-In packer performs at low pressures in excellent concrete. Precise round drill holes are important for a snug fit. 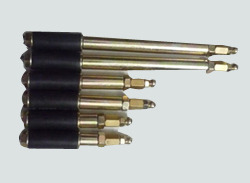 Surface ports are commonly used for epoxy injection at low injection pressures. They are glued to the concrete surface. A spread out base with holes is recommended for good adhesion. The grout line can then be attached with a quick-connect system. 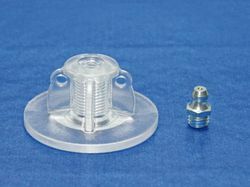 Since most surface ports lack an anti return valve, a seal cap is provided for use after injection. 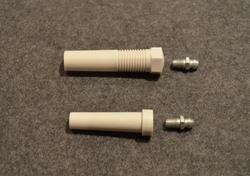 We provide unique ports for specialty applications such as a surface port with a zerk fitting to utilize single component injection systems for small epoxy and polyurethane jobs, the injection screw for the SEALEXPERTS Inject Tube System 2000 for cold joints and other specialty packers. *Note:We can produce any sizes according to your requirements. Looking for Injection Packers ?